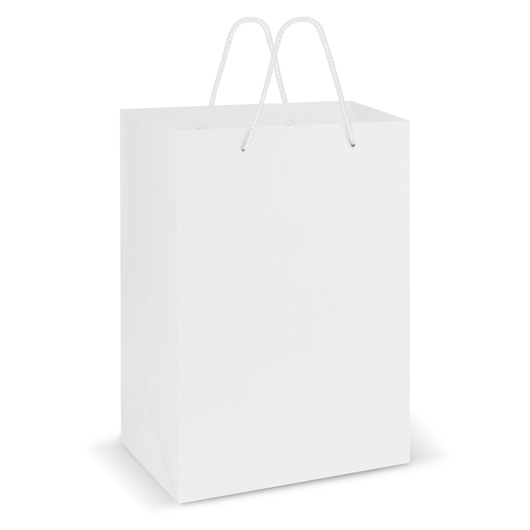 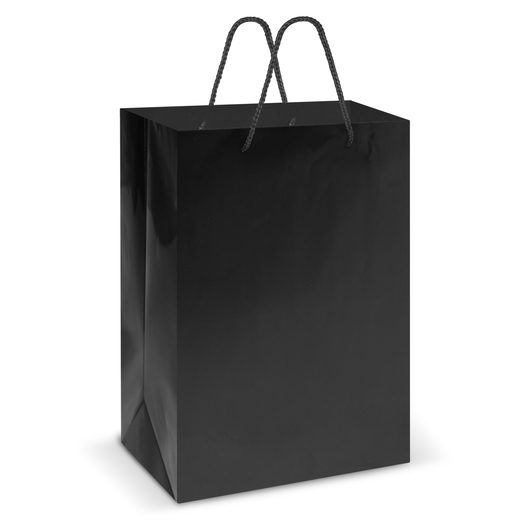 Large sized 157gsm laminated carry bag, great for gifts and retail. A large laminated carry bag that hosts strong woven polyester handles guaranteed to bring your promotions to new heights. 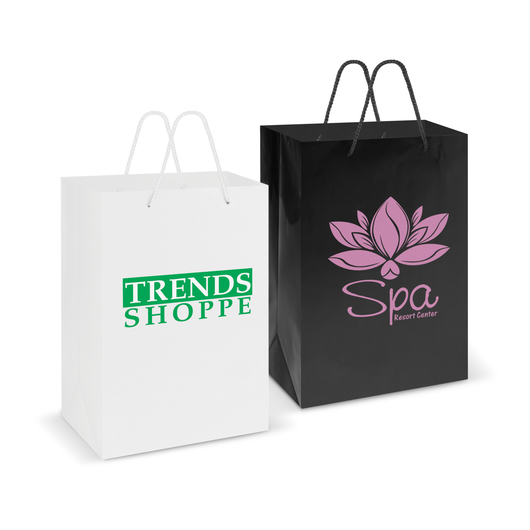 They're made from smart 157gsm laminated art paper and can be printed in a large size with your logo or branding message.